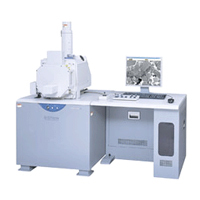 The footprint of the SU1510 has been reduced by 20% so that the microscope can be installed in more restricted places than before. 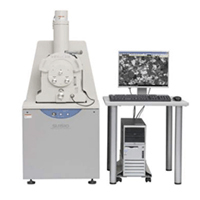 To assist inexperienced users the SU1510 includes an on screen operation guide that walks the user step by step through the complete imaging process-from vacuum mode selection to taking a picture. Variable pressure mode for observation of non-conductive samples without the need for metal coating. High throughput, less floor space, less electric power consumption, with no cooling water requirement due to TMP evacuation system. The SU3500 employs a new low-aberration objective lens and improved bias function that provides higher emission current at low kV. 7nm SE Image Resolution at 3kV, 10nm BSE Image resolution at 5kV. The new Ultra Variable-pressure Detector(UVD)* is a highly sensitive detector for low vacuum mode, which is optimized for imaging surface details at low acceleration voltages. 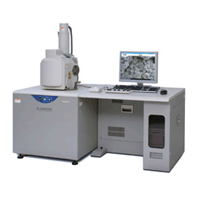 The new Live Stereoscopic function* provides real time 3D-SEM image without need for specimen tilting.